Hey, so I'm still sort of a beginner here. I've been super happy with my vaporesso polar + cascade baby SE tank, but I decided to jump head first into an RDA because it seemed like fun and the best way to swap out new flavors on a whim. So I purchased the new Drop Dead dual coil RDA, a pair of geek vape Alien Clapton Coils (Kanthal A1, "26ga*16ga+30ga", 5 wrap, ID 2.5mm, 0.2ohm) and some cotton threads. 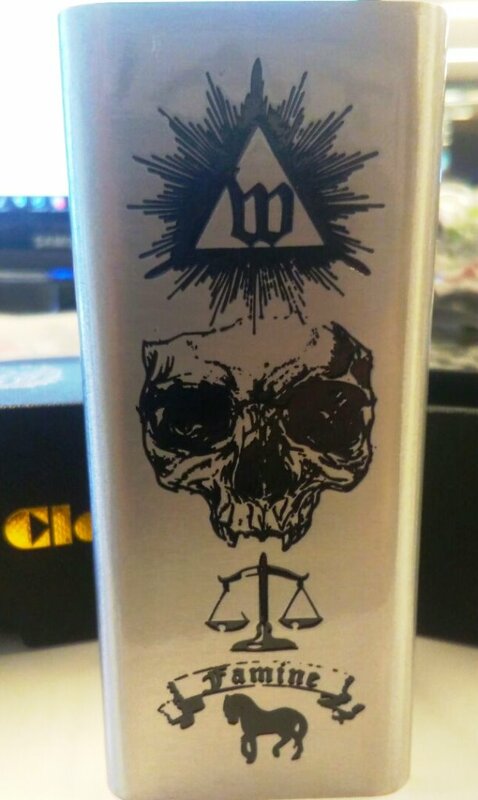 I install it all and checked the resistance of the entire RDA with my mutlimeter and the mutlimeter read 0.20ohms, the polar reads it out as 0.10ohm, but to get any sort of decent cloud and flavor with it I'm pushing the wattage up to like 80w. This just feels high to me, as with the baby tank + GT Mesh coils, (0.16ohm) I vape comfortably around 65w. Does any of this sound off to you peeps, or am I worrying about nothing? This is my first build so I'm a bit leery.